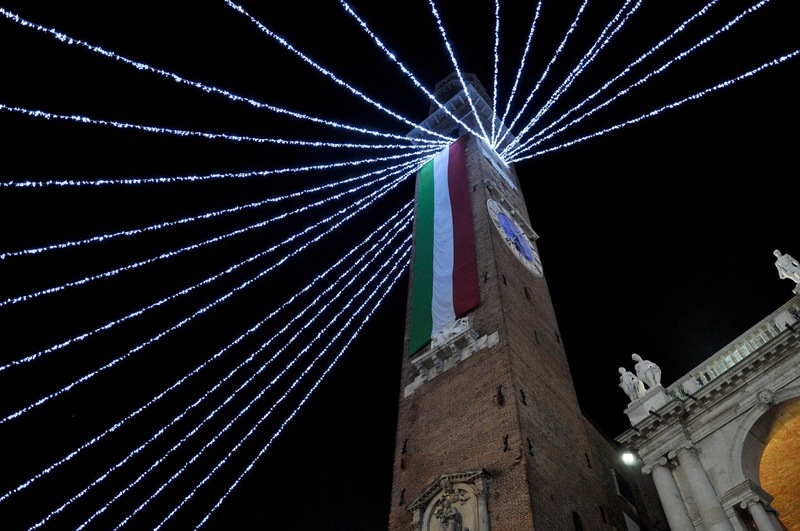 With less than two weeks left to the big day, Christmas or, actually, Natale is the code word for everything that is happening in Italy at the moment. Or so it feels! 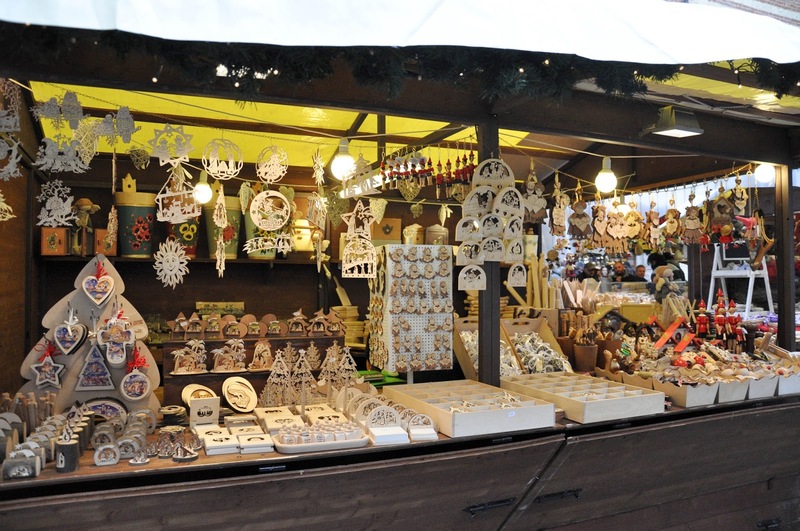 From the bonny wooden chalets of the Christmas markets spilling over the cobbled streets of old historical towns to the large colourful boxes of panettone and pandoro taking over the supermarket shelves, we all know that Christmas is just around the corner and the preparations for it are running in full steam. 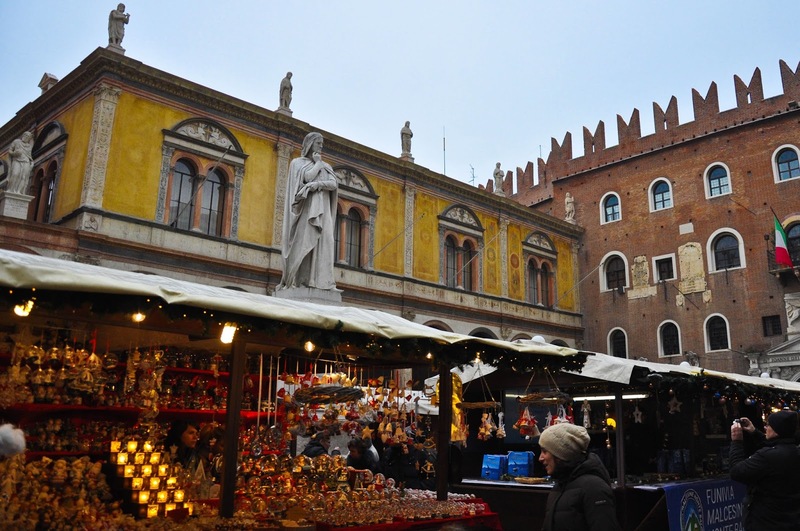 We opened the season with a visit to the Nuremberg Christmas market which has taken over the historical centre of Verona since the end of November. 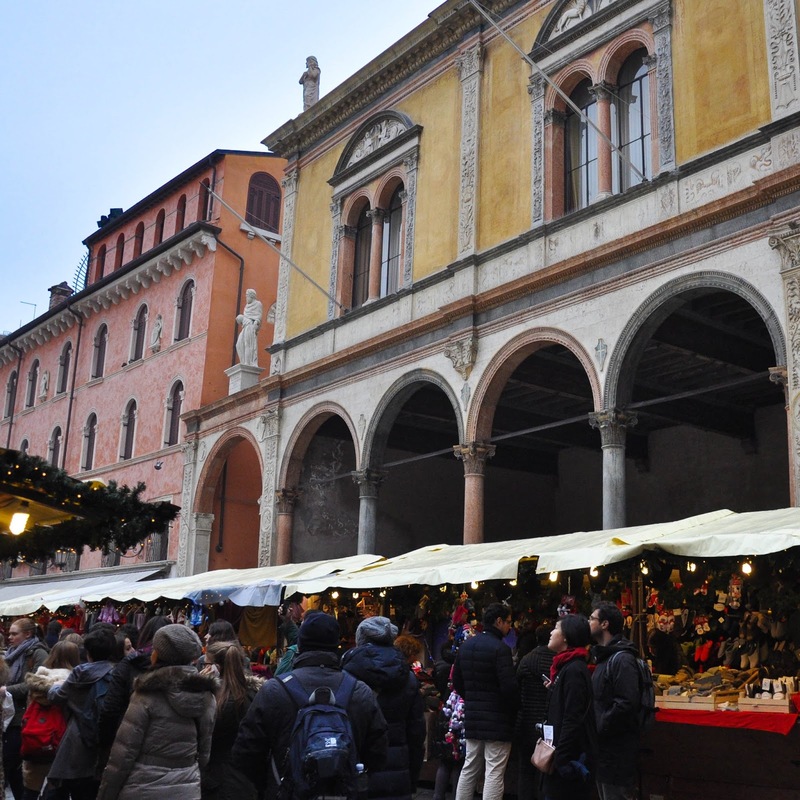 It is always such a pleasure visiting the city of Romeo and Juliet, but for me it really comes into its own at Christmas time with its festively decorated stalls selling artisan chocolates, good honest German grub and delicate tree ornaments, with its many high street shops displaying the most amazing window sets and with the cheery crowds filling up its streets and piazzas. The statue of Dante presided over the hubbub, looking pensively at the multitude of people below fleeting from stall to stall, picking up handmade Tyrolean slippers, wicker Christmas bells and wreaths, glass baubles, hats with animal ears and a long list of many other whatnots most of which had been carefully and locally handmade whilst a certain portion of them had been put together and glitter-sprayed in faraway lands. 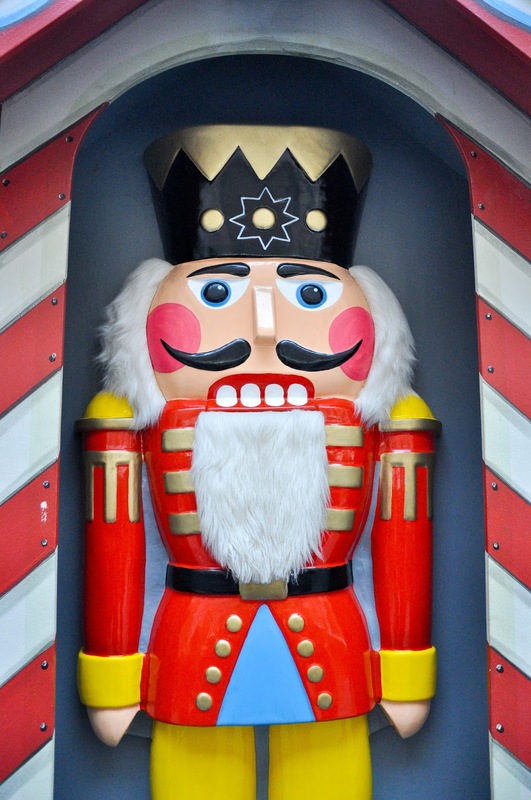 Long queues spiraled in front of the Christmas house guarded by human-size Nutcrackers where dainty wooden decorations and toys reminded me of the charming White Christmases I had read about in the books of the 19th century. 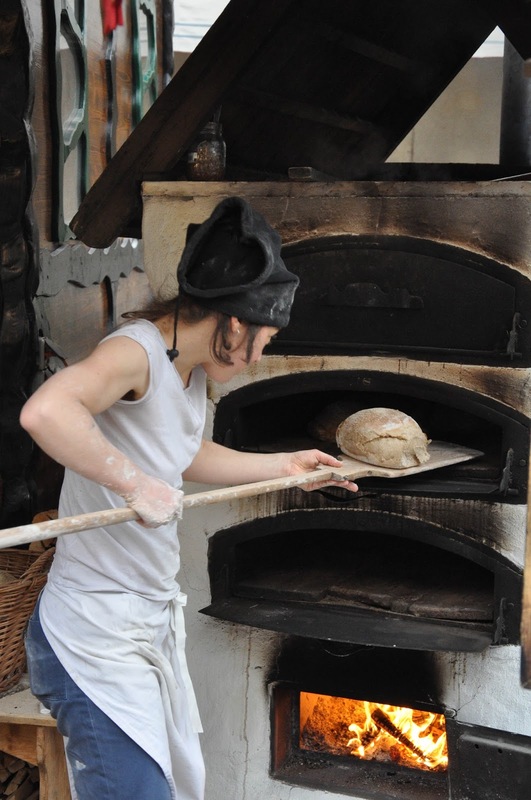 As for the market food, this being Italy, the onus as always was on the honestly made food, so nimble hands quickly sauteed large chunks of potatoes and a young girl baked bread in a wood-fired oven installed under the open sky in a corner of the historical square of Verona. 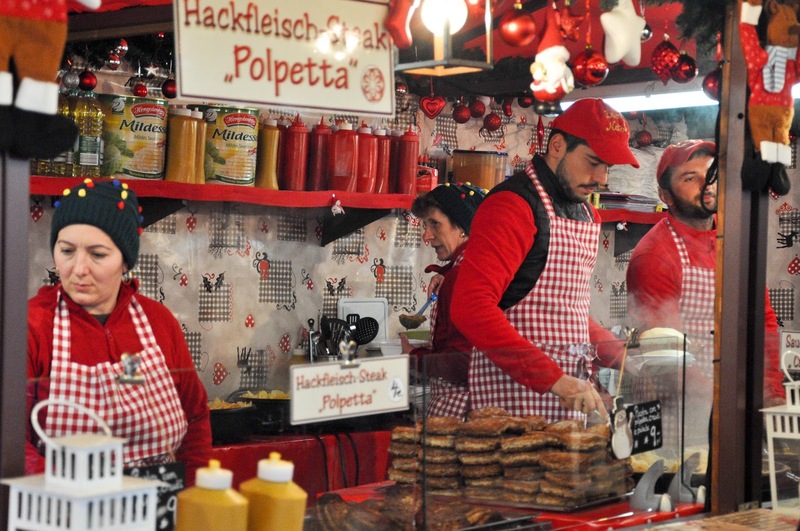 With a visit to a Christmas market ticked off our festive activities’ list, we dove right into the season so I started ordering a mint-flavoured hot chocolate as often as I could and the panettones in our kitchen began practicing a disappearing act. I think we must have been through four already and, by the looks of it, we need to buy yet another one (no, nothing to do with me getting up early to write and helping myself to a slice or two of soft and fragrant panettone studded with raisins and pieces of candied citrus peel. 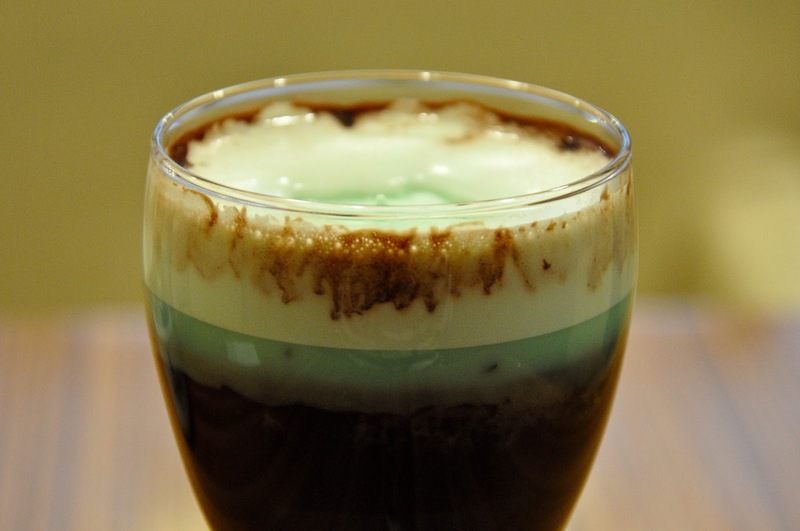 Mmmm, yum!). 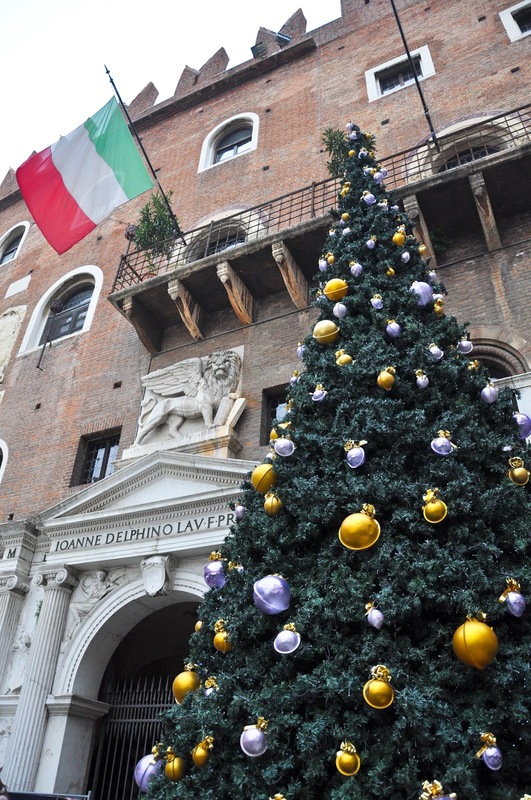 As per the local tradition 8th December is for decorating the house and the Christmas trees and our neighbours adorned their doors and verandas with long strings of glimmering lights and large gold stars. 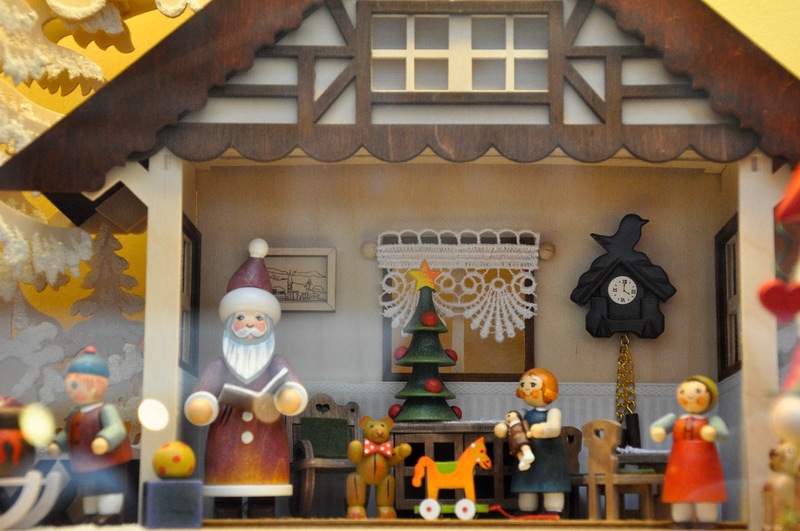 There is even a Babbo Natale (the Italian Santa Claus) hanging from a balcony nearby. We put up our Christmas tree too and for the first time, we also got a tiny presepio (Nativity scene) which we populated with miniature figurines of the Baby Jesus, Virgin Mary, Joseph, the Three Wise Men, Gabriel and the proverbial donkey and cow. 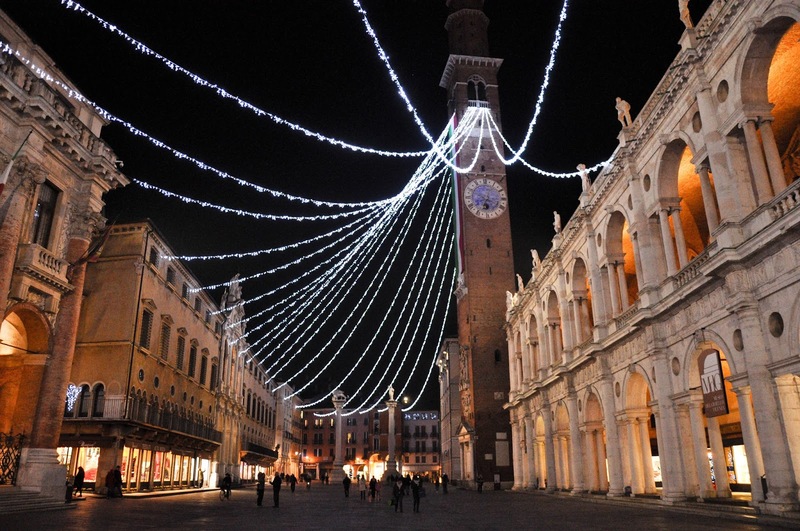 Our current hometown of Vicenza put on its best attire too and long swathes of Christmas lights are currently hanging above the streets and scaling all the way up to the top of the 86-meter high clock tower on Piazza dei Signori – the city’s main square. Wanting to take it all in, we went for a walk early one night, just as the darkness fell and the glimmer of the lights could be seen at its best. 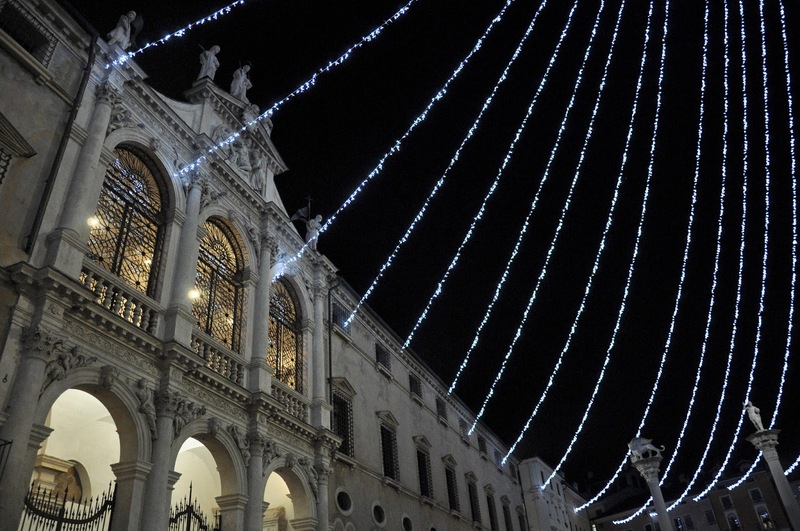 It was really beautiful and it felt impossibly festive. 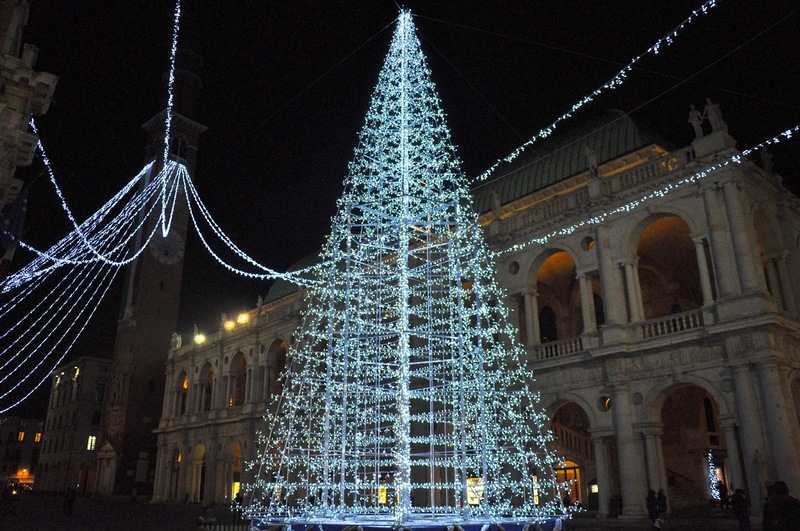 A huge Christmas tree, built entirely of LED lights, stood at one end of Piazza dei Signori and, combined with the big fan of lights hanging over the square, the effect was amazing. 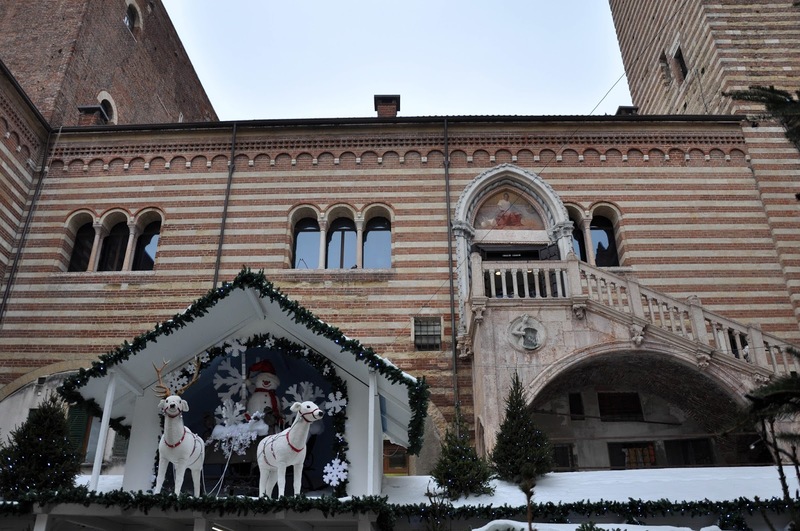 Lastly, we also made a quick visit to the nearby city of Thiene, where a Christmas extravaganza under the name of ‘Natale di Fiaba 2015‘ was taking place over two consecutive weekends. 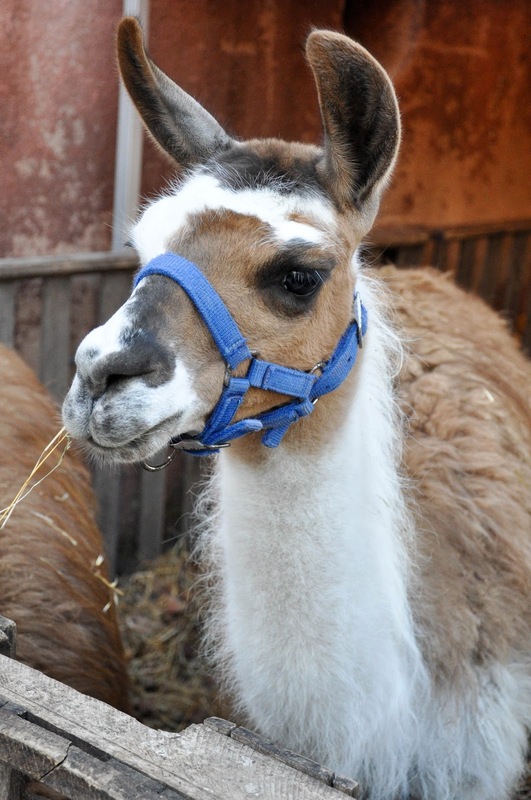 There was a petting zoo with lamas, ponies and donkeys. 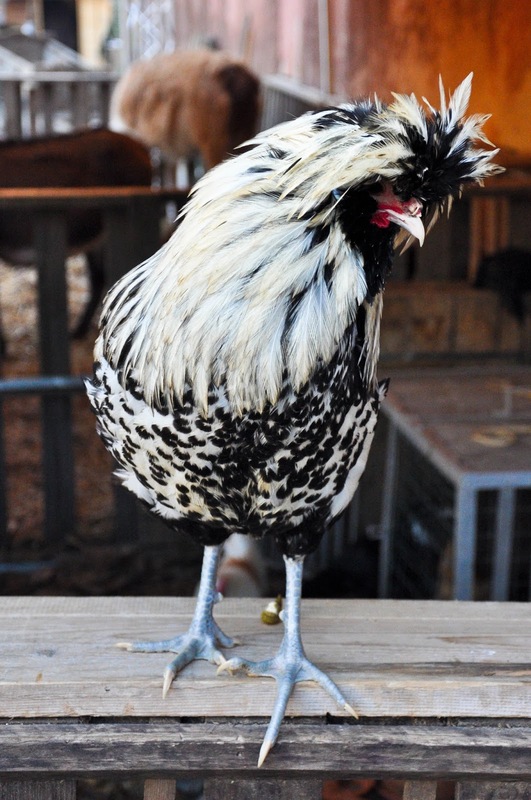 And we were all really taken with this beautiful cockerel which regally accepted the adoration of the crowds. 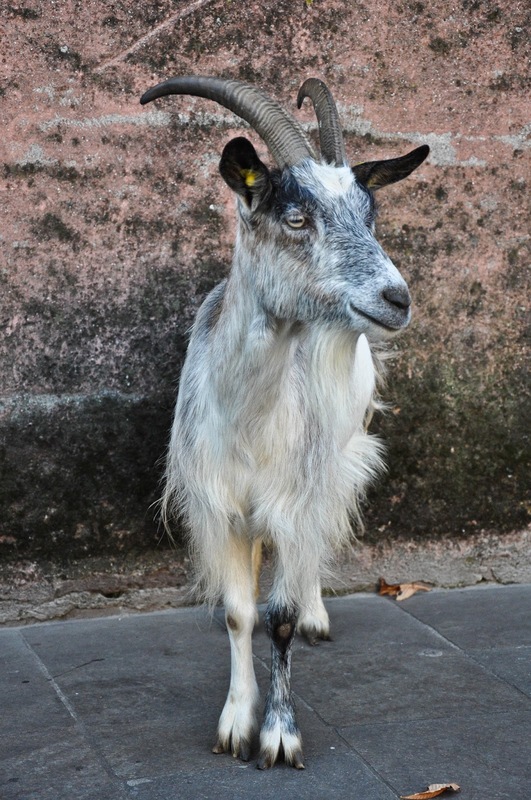 As for this goat, he was more like a little puppy, as he faithfully followed his owner everywhere he went to. 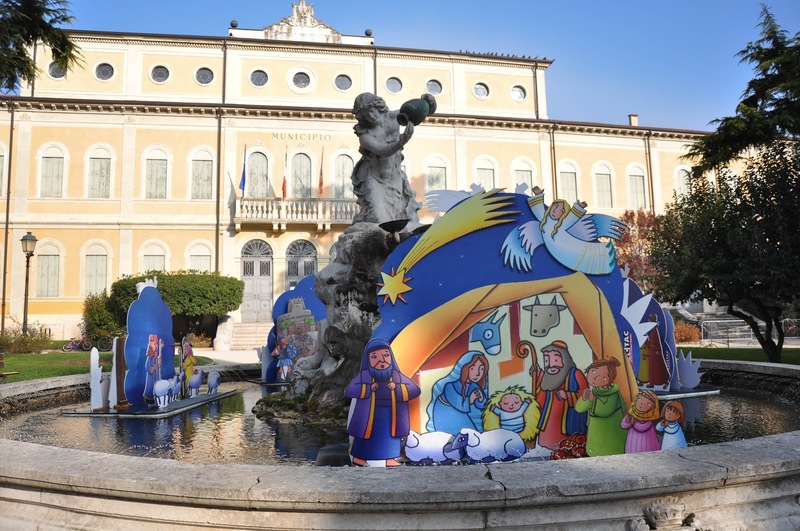 Rather interestingly, the traditional Nativity scene was floating in a fountain and we walked around it taking in the different scenes of the birth of Christ. 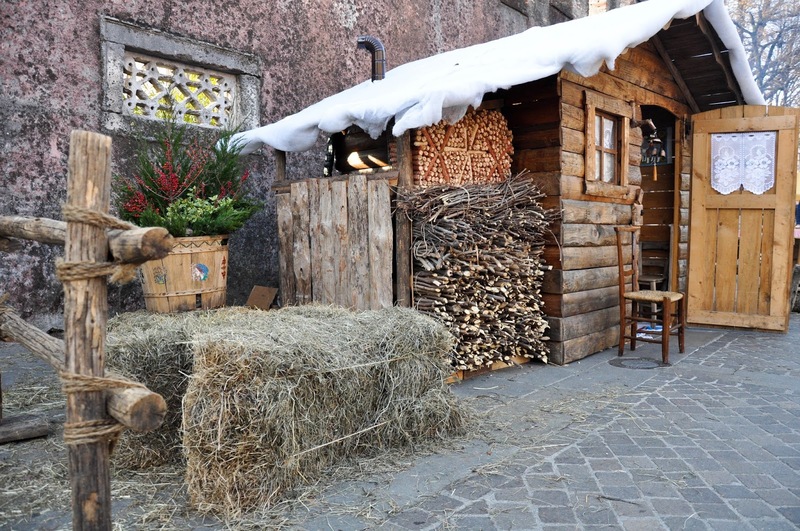 A little mountain shack had also been set up on Thiene’s square as part of the festival and further down the street you could come face to face with the witches and the magical creatures of Veneto and eat some fab street food like these lamb arrosticini. 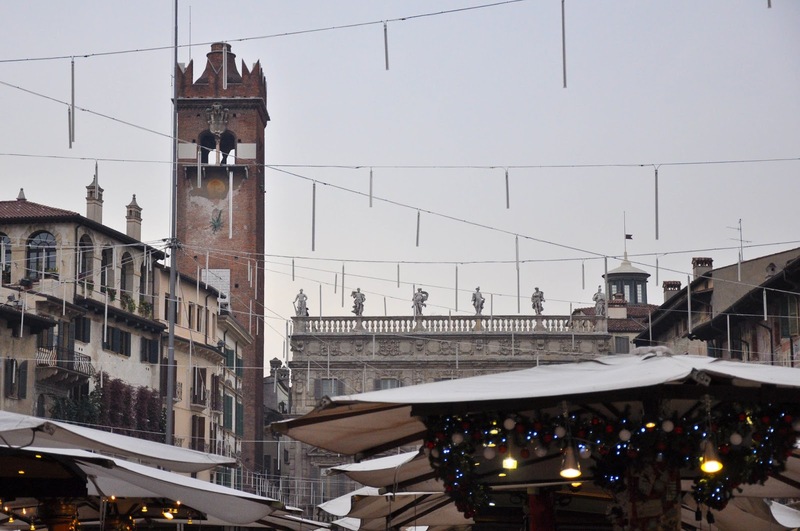 Yesterday, we also attempted some Christmas shopping and after spending an hour in a smallish shop heaving with weird and wonderful things but also with huge crowds of eager Italians, we happily retreated to a cafe to relax over a hot drink and sugared chestnuts. I was grateful though that we didn’t have to brave the crazy shopping which is currently underway in the huge malls and shops of London. Christmas though is not just fun and games for me. During the month of December I always look back in time as it was in December 2000 that I moved from Bulgaria to England and this became the corner-stone of my life. 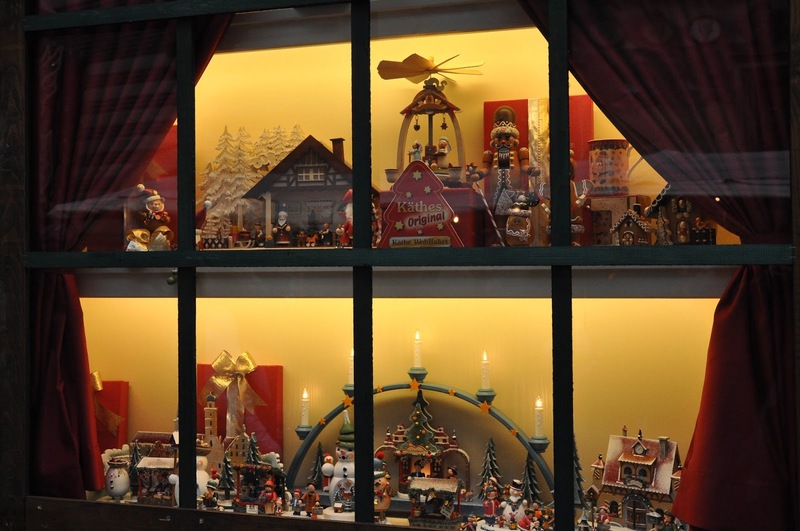 So I think about the things which happened since then, the Christmases which, for several reasons, I spent on my own and the Christmases which I spent surrounded by family and people I love. I appreciate how difficult it is being on your own or feeling very alone in an unfriendly environment, when the rest of the world seems to enjoy themselves wonderfully whilst unwrapping fabulous presents under a huge glittering tree. I also think of my husband and his family and understand that Christmas can also be tinged with the deepest sorrow. 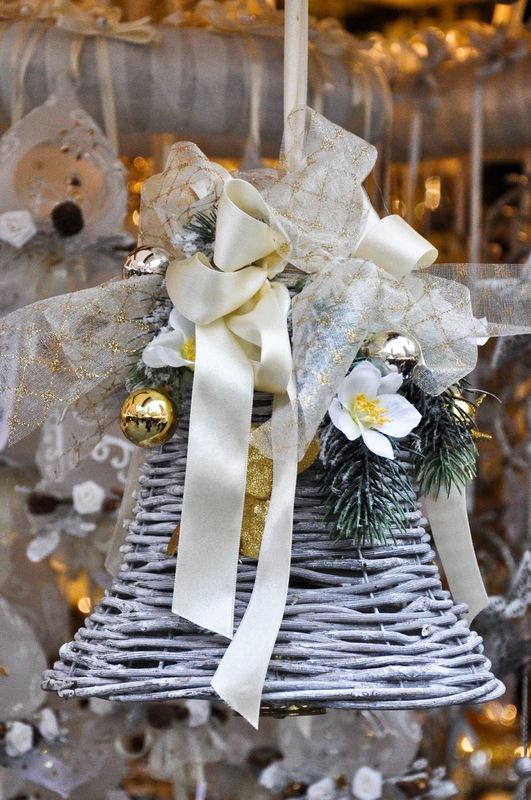 Have a wonderful Christmas for what it is – a celebration of the strength of family and of the ties which bind us to one another and make us feel loved. If, for whatever reason, the Christmas season this year is not a cheerful one for you, all I can tell you is that I understand. Big hug and never forget that even in the darkest of nights there is always a little star guiding us forward.